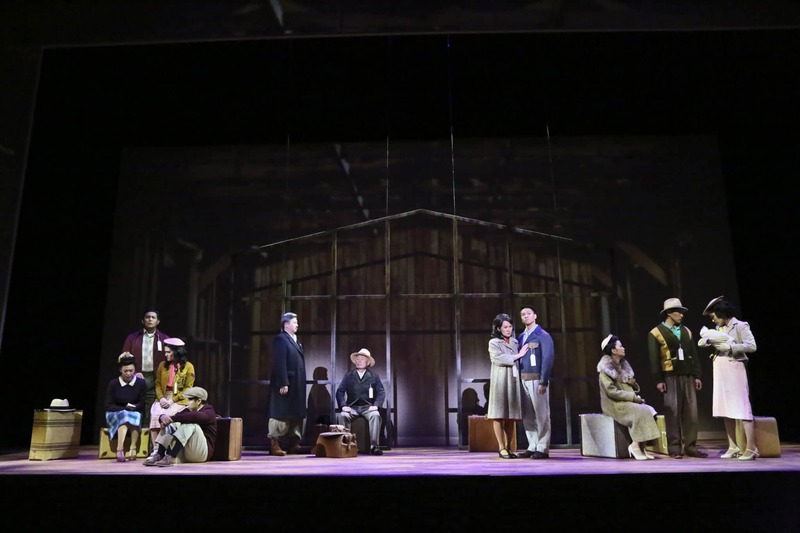 Inspired by true events, the Broadway musical Allegiance is the story of the Kimura family, whose lives are upended when they and 120,000 other Japanese Americans are forced to leave their homes following the events of Pearl Harbor. An uplifting testament to the power of the human spirit, Allegiance follows the Kimuras as they fight between duty and defiance, custom and change, family bonds and forbidden loves. 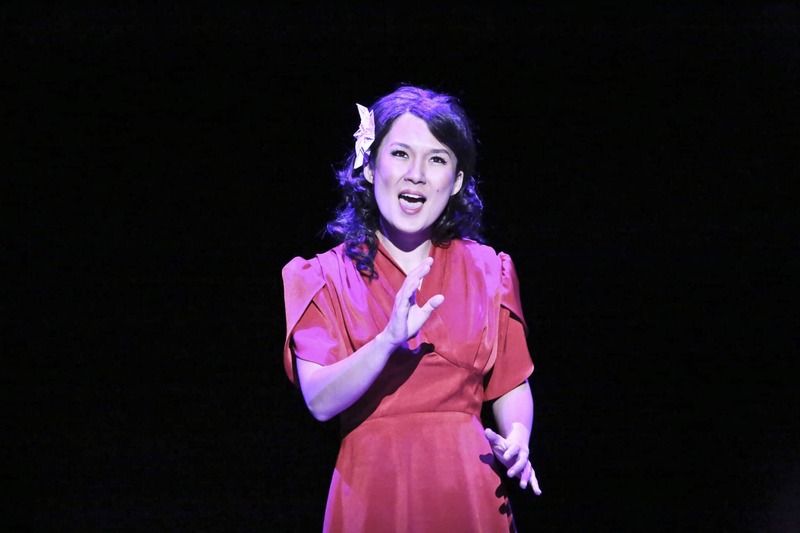 The original Broadway production of Allegiance opened on November 8, 2015 at the Longacre Theater in New York City and was produced by Sing Out, Louise! Productions and ATA with Mark Mugiishi/Hawaii HUI, Hunter Arnold, Ken Davenport, Elliott Masie, Sandi Moran, Mabuhay Productions, Barbara Freitag/Eric & Marsi Gardiner, Valiant Ventures, Wendy Gillespie, David Hiatt Kraft, Norm & Diane Blumenthal, M. Bradley Calobrace, Karen Tanz, Gregory Rae/Mike Karns, in association with Jas Grewal, Peter Landin, and Ron Polson. 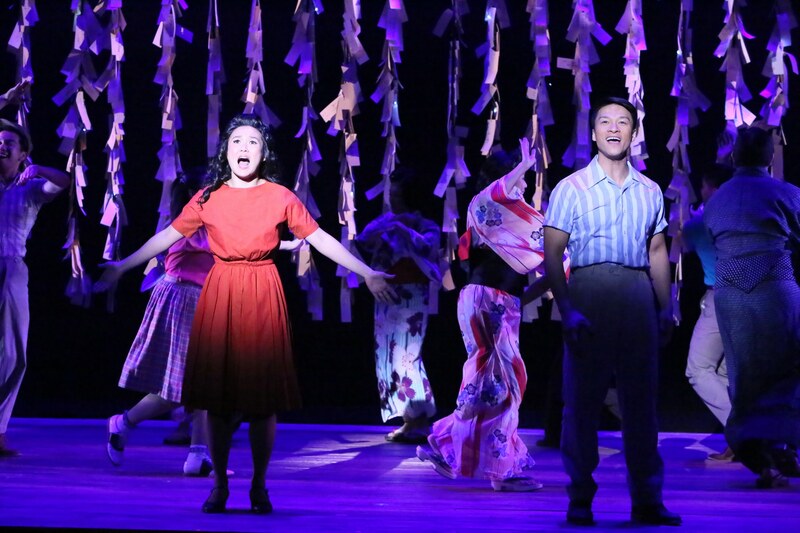 GET THE LATEST NEWS ABOUT THE LOS ANGELES PREMIERE OF ALLEGIANCE! Please sign up to receive updates, special offers, and ticketing information from East West Players and Japanese American Cultural & Community Center. A ticket to opening night on Wednesday, February 28, 2018 at 8PM includes a 7PM pre-show cocktail hour and a post-show reception with the cast and creative team. We are currently not selling individual Opening Night tickets. However, a limited number of Opening Night tickets are available as part of Allegiance sponsorship packages. For more information about sponsorship packages, please contact Helen Ota at hota@jaccc.org or (213) 628-2725. Self Park lot is located 1 block south of the Aratani Theatre at the Pacific Commerce Bank, 420 E 3rd Street, Los Angeles, CA 90013. The entrance to the Self Park lot is located east on Boyd Street from San Pedro Street. Validations for $8 can be purchased with cash at the Aratani Theatre lobby until the end of intermission. GET $20 RUSH TICKETS TO ALLEGIANCE! DOWNLOAD THE TODAYTIX APP TODAY! East West Players and Japanese American Cultural & Community Center are thrilled to announce that we are partnering with TodayTix to offer $20 daily MOBILE RUSH TICKETS for every performance of Allegiance at the Aratani Theatre in Little Tokyo, beginning March 1! Rush tickets will be released exclusively on the TodayTix app, available for purchase straight from your phone. Download the app, and then at 9AM every performance day – starting on March 1 – a limited number of $20 Rush tickets will be available on a first-come, first-served basis. CLICK ON THE TODAYTIX BUTTON BELOW TO ACCESS RUSH TICKETS TO ALLEGIANCE! 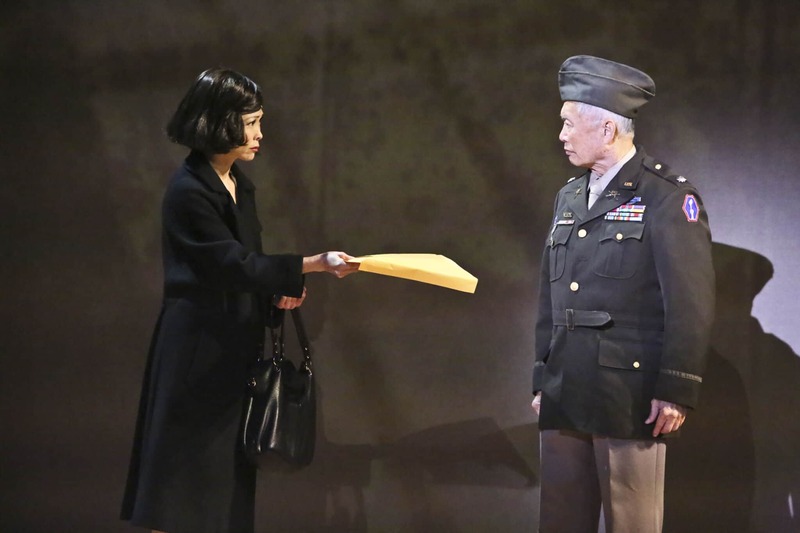 Elena Wang as Kei Kimura and Ethan Le Phong as Sammy Kimura in the Los Angeles premiere of Allegiance starring George Takei at the Aratani Theatre, co-produced by East West Players and Japanese American Cultural & Community Center. Photo by Michael Lamont. 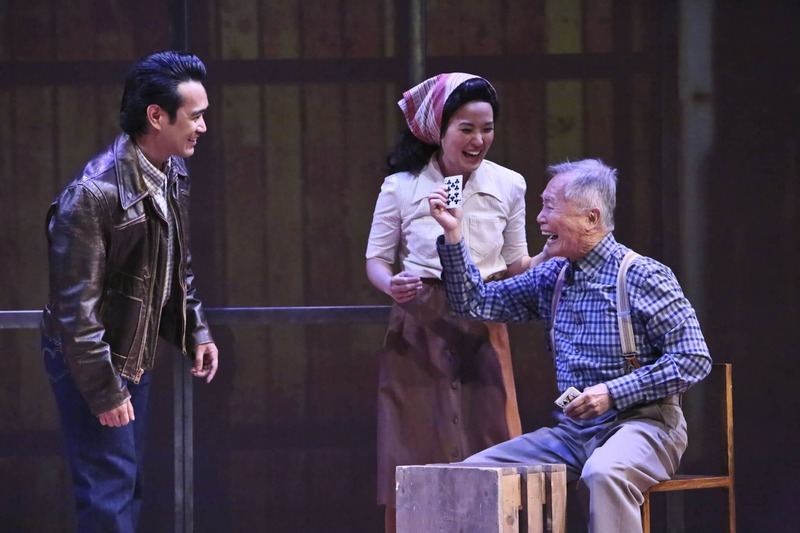 George Takei as Sam Kimura in the Los Angeles premiere of Allegiance starring George Takei at the Aratani Theatre, co-produced by East West Players and Japanese American Cultural & Community Center. Photo by Michael Lamont. 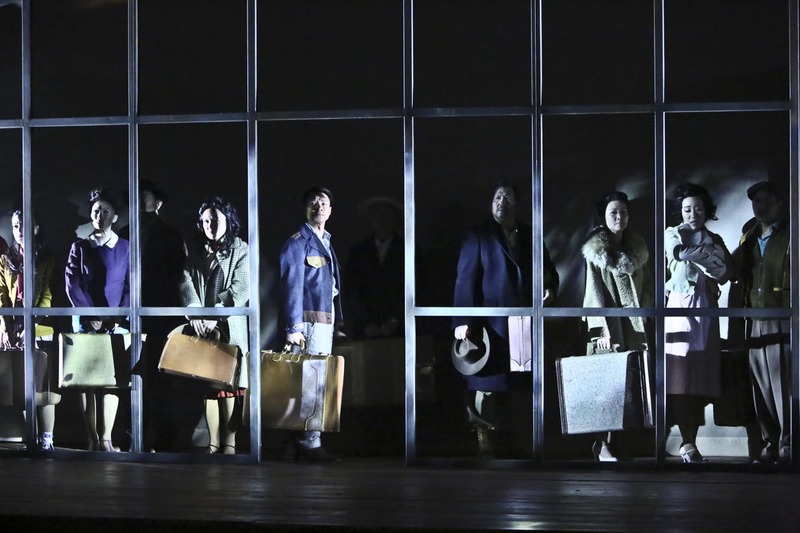 Elena Wang as Kei Kimura in the Los Angeles premiere of Allegiance starring George Takei at the Aratani Theatre, co-produced by East West Players and Japanese American Cultural & Community Center. Photo by Michael Lamont. 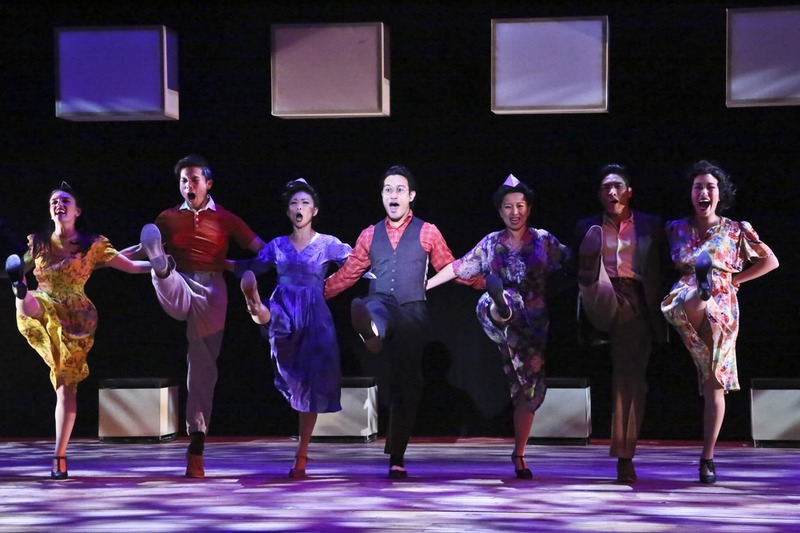 (L-R) Miyuki Miyagi, Chad Takeda, Janelle Dote, Eymard Cabling (center) as Frankie Suzuki, Sharline Liu, Cesar Cipriano, and Grace Yoo performing “Paradise” in the Los Angeles premiere of Allegiance starring George Takei at the Aratani Theatre, co-produced by East West Players and Japanese American Cultural & Community Center. Photo by Michael Lamont. 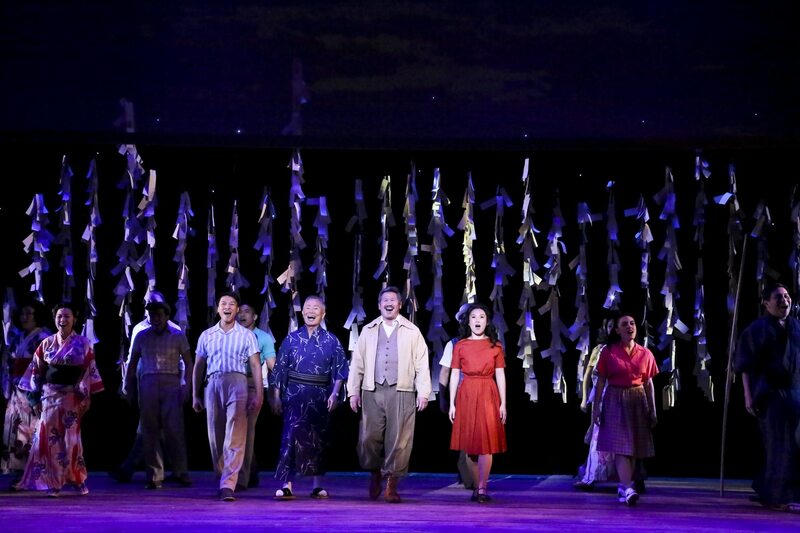 The cast performing “Wishes on the Wind” in the Los Angeles premiere of Allegiance starring George Takei at the Aratani Theatre, co-produced by East West Players and Japanese American Cultural & Community Center. Photo by Michael Lamont. 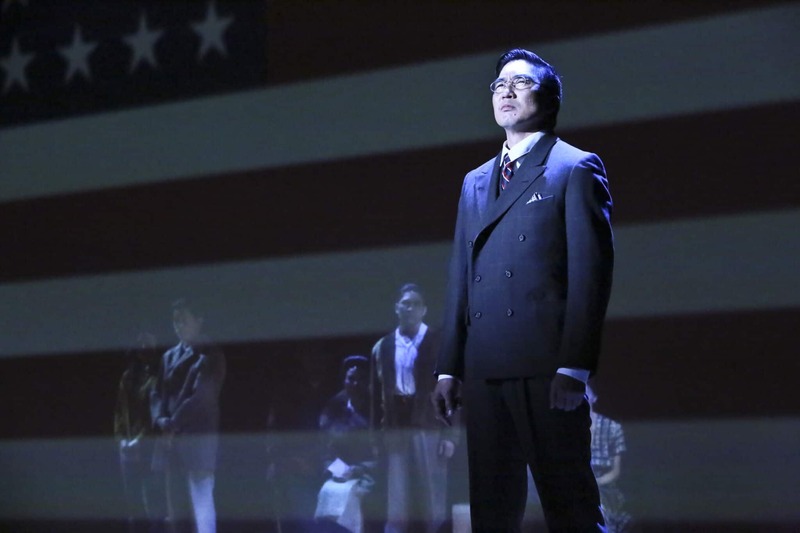 Greg Watanabe as Mike Masaoka in the Los Angeles premiere of Allegiance starring George Takei at the Aratani Theatre, co-produced by East West Players and Japanese American Cultural & Community Center. Photo by Michael Lamont. 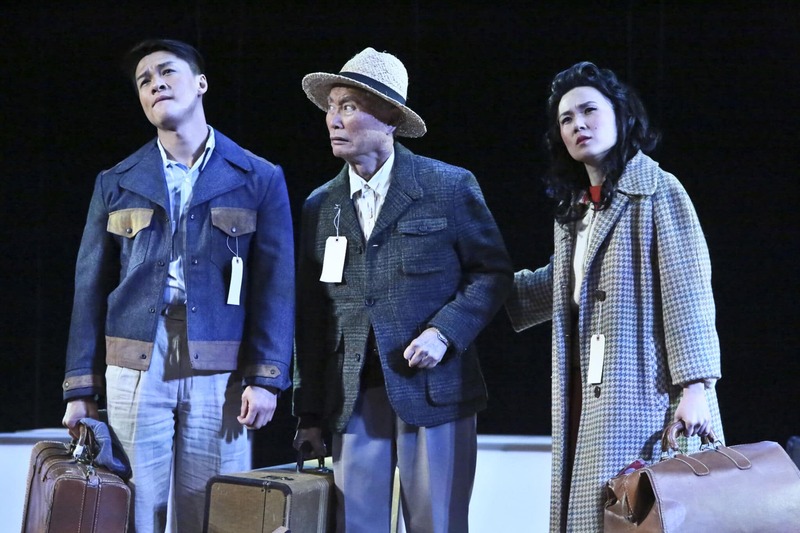 (L-R) Ethan Le Phong as Sammy Kimura, George Takei as Ojii-chan, and Elena Wang as Kei Kimura in the Los Angeles premiere of Allegiance starring George Takei at the Aratani Theatre, co-produced by East West Players and Japanese American Cultural & Community Center. Photo by Michael Lamont. 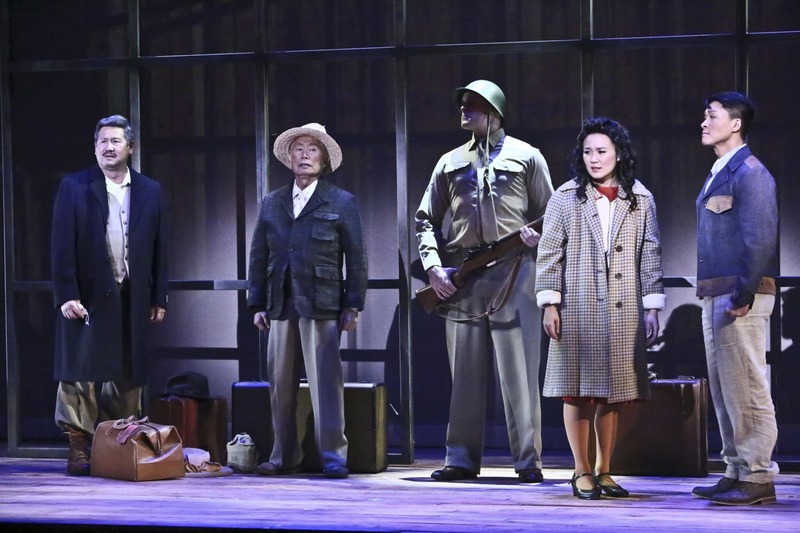 (L-R) Eymard Cabling as Franki Suzuki, Elena Wang as Kei Kimura, and George Takei as Ojii-chan in the Los Angeles premiere of Allegiance starring George Takei at the Aratani Theatre, co-produced by East West Players and Japanese American Cultural & Community Center. Photo by Michael Lamont. 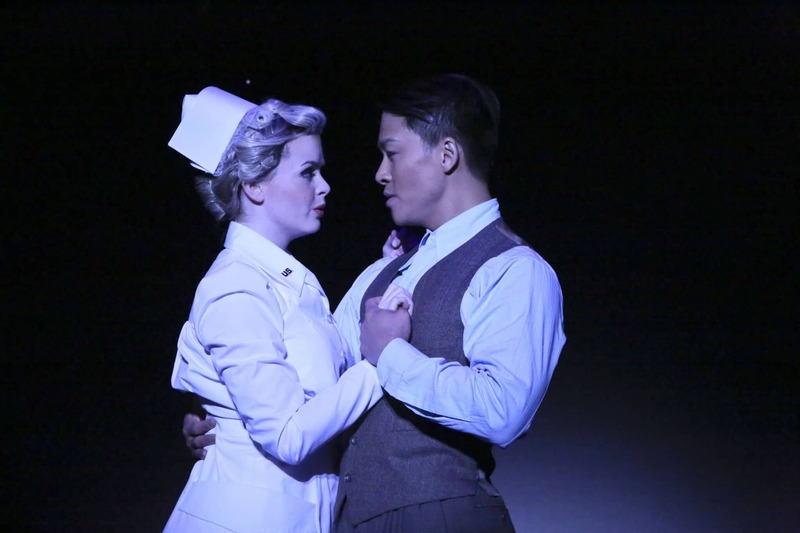 Natalie Holt MacDonald as Hannah Campell and Ethan Le Phong as Sammy Kimura in the Los Angeles premiere of Allegiance starring George Takei at the Aratani Theatre, co-produced by East West Players and Japanese American Cultural & Community Center. Photo by Michael Lamont.